Email marketing is undoubtedly one of the most impactful tools in your digital marketing toolkit. Everyone uses email. Email marketing is the third most influential source of information among B2B audiences. It comes in behind only colleague recommendations and industry-specific thought leadership. 86% of business professionals prefer email when communicating for business purposes. Email subscribers are 300% more likely to share content on social media than leads that came through another channel. 73% of millennials identify email as their preferred means of communication. The DMA’s National Client Email Report of 2015 stated that email marketing produced an ROI of 3800% according to their study. If you aren’t already integrating email marketing into your marketing automation strategies — you should be! It’s simply too powerful to be overlooked. But you can’t expect to rely on sending emails by hand and have them generate the kind of results that we see in the statistics above. Email marketing is at its most effective when it is delivered sequentially in an automated way — also known as an email sequence. The name tells you a lot, but just to make sure that everyone is on the same page let’s define what an email sequence is. An email sequence is a series of time-based emails that are automatically sent out at predetermined times. There may also be triggers that initiate the first email to go out. For instance, your prospect may receive a “Welcome” email when they first sign up for your list, then receive emails three days later, seven days later, and ten days later as you deliver important information about your company or product to them. Email sequences give you a simple and straightforward way to continue a relationship with a prospect without having to spend the time sending emails by hand. Why Are Email Sequences so Important? You can’t expect to handle all of your important communications and marketing correspondence by hand. Email sequences provide you with an automated way to deliver ongoing communications to your leads, prospects, and customers while you strive to build a solid foundational relationship with them. Email sequences can be timed so that your emails arrive when they are most likely to have an impact. For instance, an email that upsells an eCommerce purchase with several related accessories could be timed to arrive just moments after the first purchase. Email sequences are used to move your customers through the customer journey. They can be tailored to specific buyer personas to ensure that your messaging speaks to the topics and considerations that they consider the most important as they relate to your product. The best thing about email sequences is that there isn’t a really narrowly defined use case — any company can benefit from them. Now we’ll dive into the different types of common email sequences that companies usually launch early on in the process of building out your marketing automation processes. 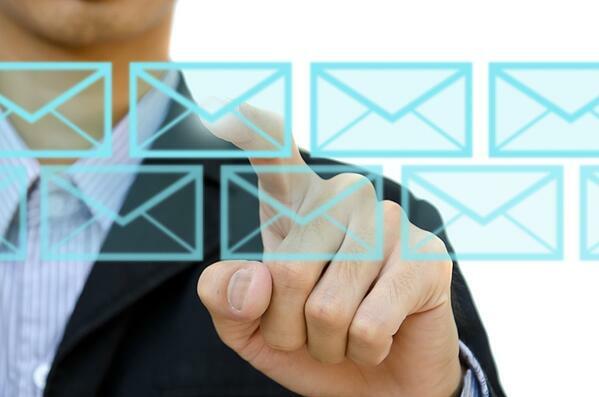 There are some common types of email sequences that all companies can benefit from. Although the steps that each sequence walks a customer through will be dependent on your product and industry, although each will follow some familiar beats. This is the email sequence that your subscribers will receive when they first join your email list. It provides some basic information, thanks them for joining your email list, and begins to set the stage for the information that will eventually be delivered in your nurturing sequence, which will dive deeper into your company and product. A nurture email sequence is designed to help introduce your prospects to your company and product. Over time, you’ll deliver more information on these topics to them through each email. You can also use nurture sequences to deliver bonuses like discounts and coupon codes. Over time, the nurture sequence’s main goal is to help your audience get to know your company. You can tell them about your product, the pain points it solves, and help them to better understand how you can help them. Nurture email sequences are perhaps the most powerful tool that you have in your email marketing toolbox. For most, it’s the first chance that your prospects will have to deep-dive into your business and products and begin to connect how you can help them. For all companies, there are few time periods more critical than the days after a new customer signs up for your service. Their ability to learn your software and find ways to integrate it into your existing business processes is critical for your success. An onboarding email sequence walks your prospects through the process of using your product. For SaaS companies, this might mean learning how to use your software solution and integrating it into their business processes. It’s important that your customers have a full understanding of your product so that you can ensure their continued use and a longer life as a customer of your business. Once a prospect is familiar with your business and knows how your product can help them, the conversion sequence is the automated version of a sales closer. Your prospects are nurtured and it's time to advance your relationship and turn them into customers. In this sequence, you’ll deliver more sales-specific information. You might share case studies or customer success stories about your product. You might invite them to connect with a sales rep to learn more about your company. You could even directly ask them to buy your product within the sequence. Email sequences are a tool that any company can use to drive growth by furthering relationships with their prospects. With some carefully planned and designed email sequences, you can convert more prospects into customers and develop awareness among your audience.